Happenings at GoWild Casino During World Cup! GoWild Casino has been doing ready for World Cup. No matter if you have yet, you can always just visit GoWild Casino to get the most out of their World Cup promotions! Football's master event will captivate a worldwide audience and GoWild Casino have the right tournament to get you in the mood: “Reels de Janeiro” online slot tournament. An amazing prize pool of €175,000 is up for grabs starting June 12th. GoWild Casino offers several options when it comes to football related games: “Football Star”, “Reels de Janeiro”, “Shoot!” and “Soccer Safari”. Could these slots be extra hot during World Cup? Starting July, “Robo Jack” and “Fish Party” will be available at GoWild Casino. You can experience the excitement of Robo Jack`s adventures as the little robot and his friends will offer big wins in free spins. Fish Party brings a lucky streak from the deep. One of those slippery friends might bring you that fortune you have been waiting for. 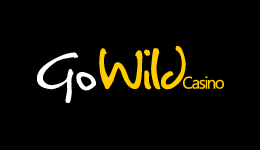 Read more at GoWild Casino when the slots are launched.